Summary From Goodreads: From Sarah Strohmeyer, author of Smart Girls Get What They Want, comes this romantic comedy about one girl’s summer job from hell. Think The Devil Wears Prada set in Disney World. When cousins Zoe and Jess land summer internships at the Fairyland Kingdom theme park, they are sure they’ve hit the jackpot. With perks like hot Abercrombie-like Prince Charmings and a chance to win the coveted $25,000 Dream & Do grant, what more could a girl want? Once Zoe arrives, however, she’s assigned to serve “The Queen”-Fairyland’s boss from hell. From spoon-feeding her evil lapdog caviar, to fetching midnight sleeping tonics, Zoe fears she might not have what it takes to survive the summer, much less win the money. 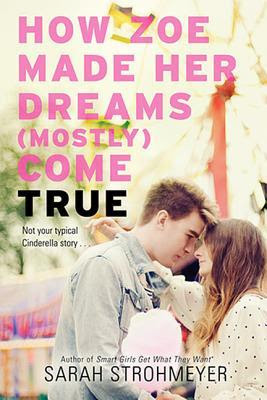 Soon backstabbing interns, a runaway Cinderella, and cutthroat competition make Zoe’s job more like a nightmare than a fairy tale. What will happen when Zoe is forced to choose between serving The Queen and saving the prince of her dreams? 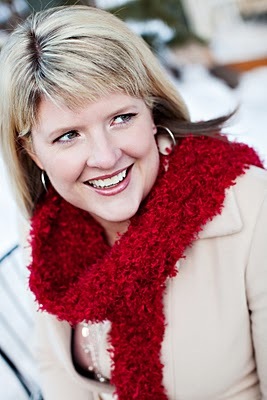 Review: Summer is the perfect season for Sarah Strohmeyer. Her light, funny voice carries you away to Fairyland where high school students are pushing and shoving their way to the top as interns as storybook characters at a high end amusement park. Zoe and her cousin Jess show up for their first day only to find themselves in the smelly no air conditioned dorms rather than the palatial Cinderella suites of the princesses. And to make matter worse, Zoe doesn’t even have a real place in the mayhem. She’s sequestered away to serve “the Queen”, the boss and owner of the park with her demanding little dog named Tinkerbell and obsessive rules. Zoe has to make the most of her midnight walking the dog. When one night she stumbles into “the forbidden zone”, an off limits portion of the park she’s rescued by a mysterious Prince Charming who is obviously breaking the rules! Can she unravel his identity and serve the Queen while also keeping her heart in check? I loved the strong character development and fun setting of How Zoe Made Her Dreams Mostly Come True. You can literally step into the craziness that is furry creatures running around in smelly costumes and princesses forced to do weigh ins. Then there is the crumbling old ladies shoe and forgotten once was portion of the park that lies beyond the perimeter. The tone is light with an underlying theme of recovering from the loss of a parent and loyalty. The only thing I struggled with was a bit of repetitiveness in plot elements and phrases like “Dream and Do” (the scholarship they are all out to get) and “Wow TM Spirit.” There were times when I wished the story would have been a little bit more evenly paced and moving along a bit faster. What I loved is that the story, time and place stuck with me long after I put it down. I could smell, taste and feel Fairyland. I am going to check out Strohmeyer’s other books when I need a pick me up. Thanks so much to Balzer and Bray for such a fun ride! Content: A few minor swear words, mention of girls weight loss being mandatory for the job and one overnight kissing session. Author Bio: After being placed on other “must read” YA lists, SMART GIRLS GET WHAT THEY WANT has recently been chosen by Texas school librarians for the 2013 Lone Star Reading List, a great honor since Texas is a BIG state.Thank you, librarians! When Jessamine begins to fall in love with a mysterious boy who claims to communicate with plants, she is drawn into the dangerous world of the poison garden in a way she never could have imagined . I had a lot of high hopes for this fascinating story about a lonely Northumberland girl and her apothecary father. The premise and the cover are both beautiful. So is the writing. THE POISON DIARIES gets off to a tentative start, but there is a poetic beauty in the words that kept me reading. The first person point of view is very well done. Jessamine is the daughter of a healer who is famous throughout the land for his miraculous cures. Their ancient, rambling home is surrounded by gardens. Jessamine is as talented with plants as her father, but she yearns to learn more. The gated, locked up Poison Garden is forbidden. This is something she accepts, until the boy, Weed, shows up at their door. Their attraction to one another is sweet and subtle. The respect and admiration they have for one another is a strong foundation for their fledgling romance. The mysterious Weed is charming in his innocence but almost frightening in his power as Jessamine learns of his ability to communicate with plants. More than once, I was reminded of the classic 80’s film, Edward Scissorhands. Although the setting is historical, there are parallels in the fragile beauty of Weed’s personality — a throwback to that film. Of everything in this book, the voice of Maryrose Wood stands out. The articulation of scene, of setting and of character, is beautifully crafted. I found the words to be as haunting as the story. 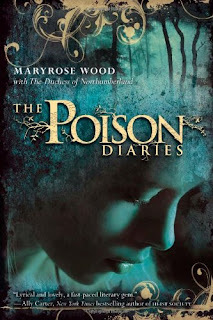 But THE POISON DIARIES is not a fast-paced book. It does drag along in some sequences as the young lovers struggle to hold on to one another. In contrast, the evil, eerie twist in the final pages is riveting. It definitely opens the door for more books in the series. Read The Poison Diaries now for only 99 cents! So here’s the deal, if you’re looking for a happy go lucky sunny walk in the park Everneath is quite the opposite. It’s a real hard look at the true to life feelings of a teen who has returned to the earth as a shell of the girl she once was. She’s lost her mother in a drink driving accident and in a moment of grief made a choice which alters her path for the next hundred years to eternity. If you know the author, Brodi Ashton, she is a hilarious human with a sassy sense of humor, but writing Everneath she followed a voice much unlike her own. Brodi says ” My book, EVERNEATH? : not funny. Not hardy har har funny. Sometimes it can be funny in a “Can you believe there’s So. Much. Death?” kind of way. Other times it’s funny in a “OMG she is so screwed! lol” kind of way. Have you ever had a story call to you that scares you because you don’t think you can write it? I say… write it! I did.” She has some guts people! Thanks to Brodi and Windy Aphayrath for putting together a local ARC tour and giving us a sneak peek! You Might Also Like: The Goddess Test by Aimee Carter, Abandon by Meg Cabot, or The Hourglass Door by Lisa Mangum. 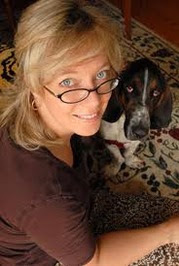 Brodi Ashton Author Bio- “Because of two parents who were Greek myth geeks, I grew up thinking the latest fashion trends were inspired by Aphrodite, and a good conversational opener was, “So, which mythological character do you most resemble?” Despite these social shortcomings, I found a great husband who’s always my first reader. We live in Utah with our two young boys, who still have no idea why I’m at the computer all the time. Everneath is a unique take on the ancient tale of Persephone and Hades with a dash of Egyptian mythology. Main heroine Nikki has just spent 100 years in the Everneath with bad boy Cole who feeds off of her life essence. At the end of her term she chooses to return to the surface for the last time. Six months to say goodbye to her family and six months to reconcile her feelings with Jack, the only bit of memory she was able to retain in the underworld. His face kept her alive while she endured her own personal hell. And now the challenge for Nikki is overcoming her emaciated sense of hopelessness to make the choice between becoming an Everliving Queen at Cole’s side or anchoring to the hope of Jack. 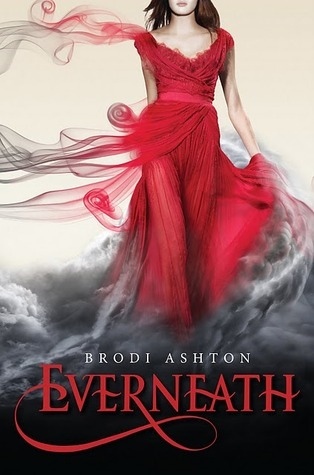 Told in both present and past tense, Everneath explores addiction, co dependence, parental trust, grief and the ultimate redeeming power of love. The ending is one heck of a cliffhanger, so prepare yourselves to be invested for a trilogy. Everneath is haunting, intelligent and engaging. Bravo to Brodi for being so brave. Utah residents will love the Park City setting. An awesome and unique debut! And the cover…my very favorite of 2012.As Nikki’s time grows short and her relationships begin slipping from her grasp, she’s forced to make the hardest decision of her life: find a way to cheat fate and remain on the Surface with Jack or return to the Everneath and become Cole’s…Nikki longs to spend these months reconnecting with her boyfriend, Jack, the one person she loves more than anything. But there’s a problem: Cole, the smoldering immortal who first enticed her to the Everneath, has followed Nikki to the mortal world. And he’ll do whatever it takes to bring her back- this time as his queen. She has six months before the Everneath comes to claim her, six months for good-byes she can’t find the words for, six months to find redemption, if it exists.